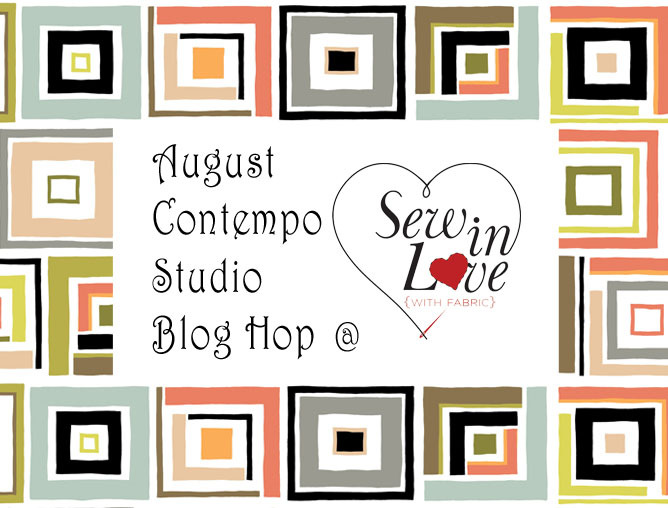 Welcome to the final day of the Contempo Studio Blog Hop! 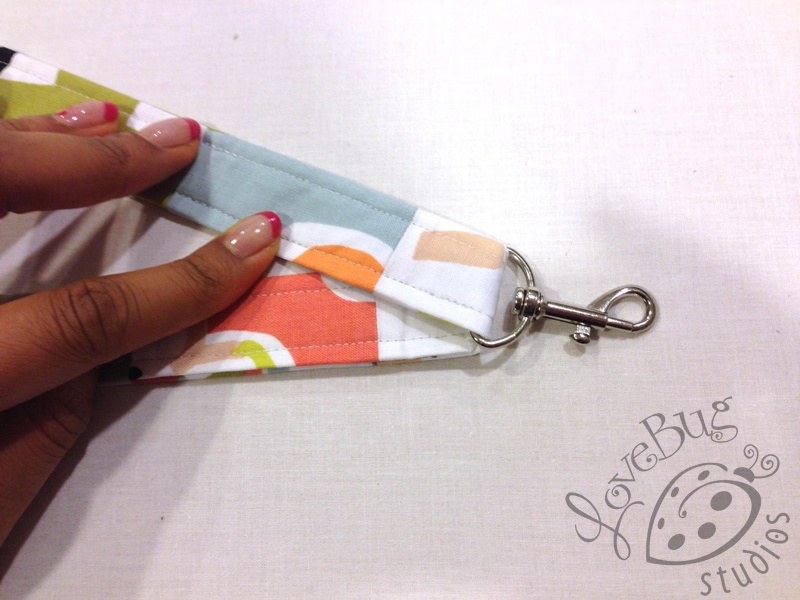 Today, the talented Ebony Love of LoveBug Studios is sharing a quick and easy tutorial--colorful wrist straps and lanyards, strip pieced from the Dwellings Beach House colorway. 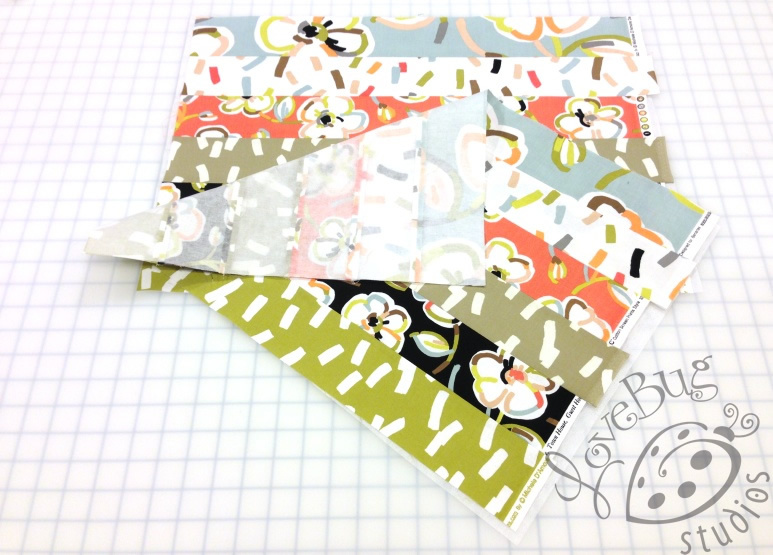 Check out Ebony's tutorial and then find out how you can enter to win a bundle of this gorgeous fabric! 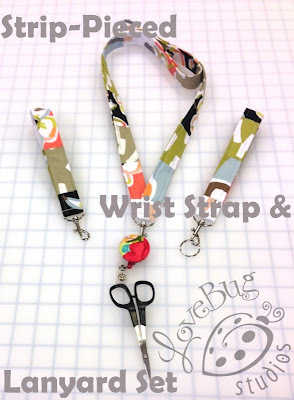 It’s really simple to make a wrist strap or lanyard from just a few strips of fabric, and end up with dozens of nice stitchy gifts for your favorite quilting friends at holiday time. I truly have a love affair with fabrics, and Benartex fabrics are among my favorites. However, I don’t always have the time to incorporate my favorites into a quilt, nor do I have the wall or bed space to display as many as I like. Besides, I like being able to have the fabrics I love with me at all times, but I can’t sit in my studio all day buried under my bolts! That’s what makes a project like this so appealing – I get nearly instant gratification because it stitches up so quickly, and I can take my favorite fabrics with me wherever I go. 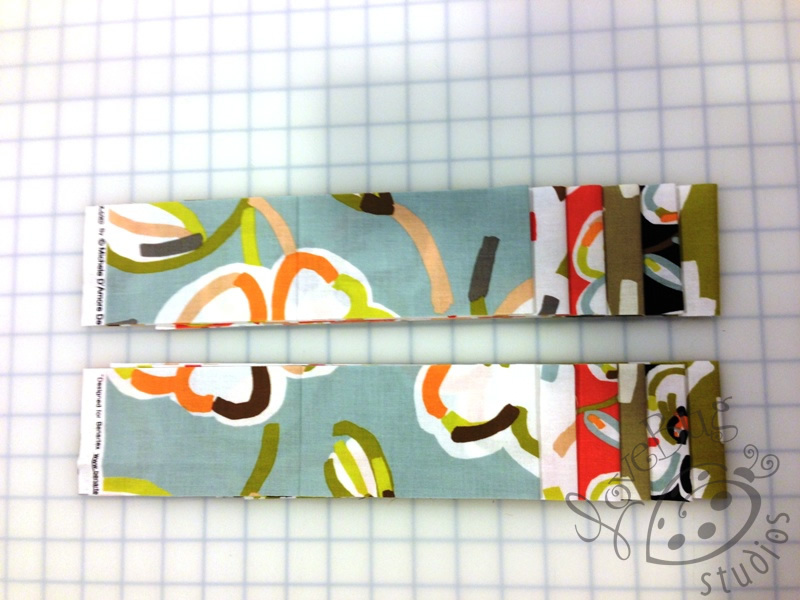 You’ll be making two strip sets, so arrange the strips the way you like them and stitch them together in rows. 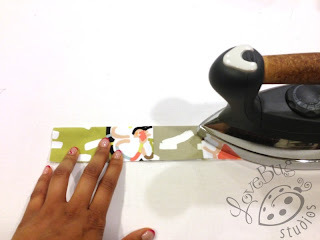 Press your seams open so your strip set lays nice and flat. Repeat for the other strip set. 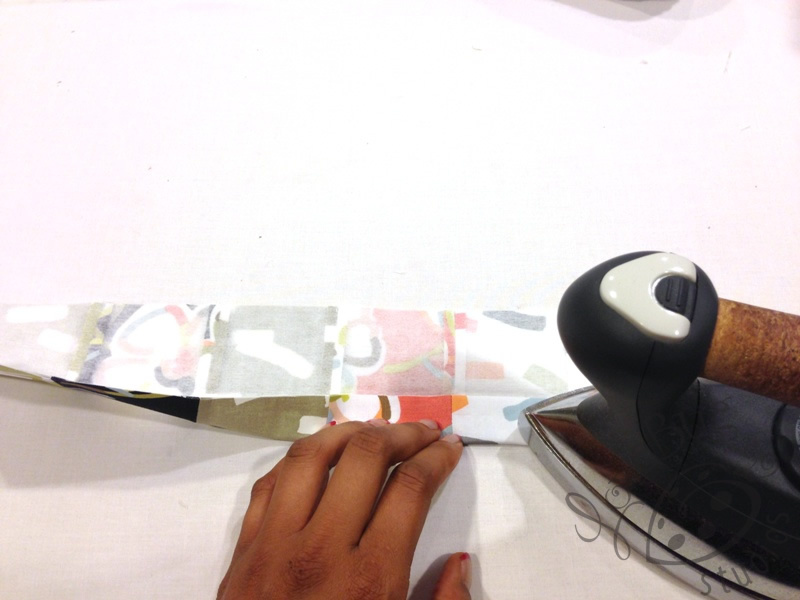 Once your strip set is assembled, with wrong sides together, layer with the fusible interfacing and fuse. This will stabilize your strips and add a bit of body to the finished piece. Repeat for the other strip set. 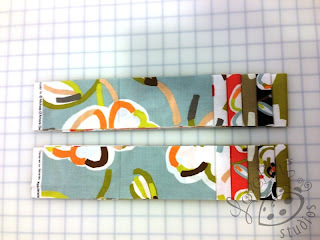 Now, cut 4” strips along the width of each strip set. You should be able to get five pieced strips from each strip set. If you want to make a lanyard, piece three of the 4” strips together into one long strip, and press those seams open. If you’re making a wrist strap, you only need one strip. Fold your strip in half lengthwise with the right side out and press along the fold. Starch works great here – you want a really crisp fold. Next, fold the raw edges to the center, and press those folds as well. Your strip is now about 1” wide. 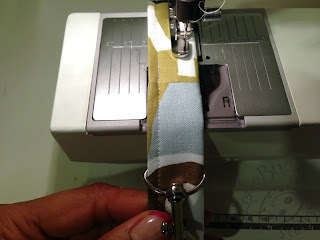 Thread your folded strip into the swivel hook until the hook is about at the center of the fabric. Here’s where it gets a little tricky, but once you do this you’ll see why and start using this technique for straps from now on! With the swivel hook at the center, unfold the raw ends of the strap and pin them right sides together. Stitch this with a 1/4” seam, and press the seam open. 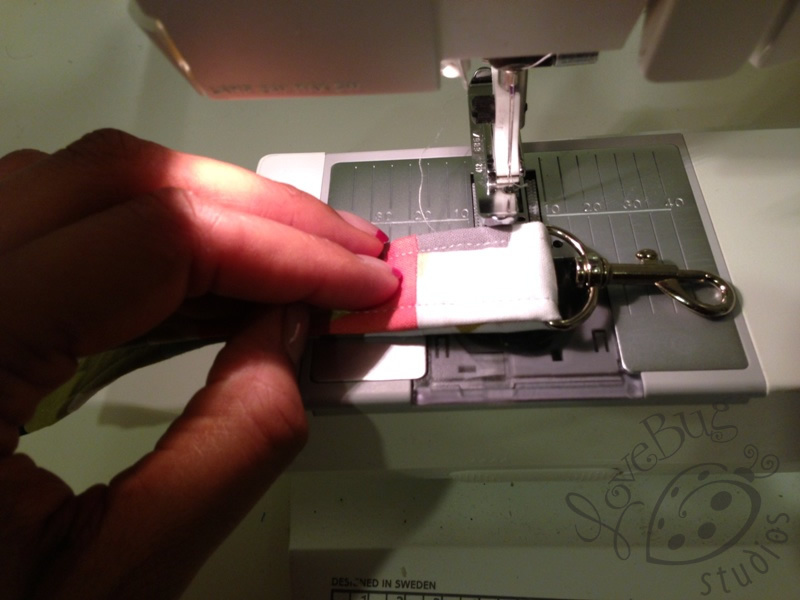 Now you can refold the strap and you have a continuous loop for your swivel hook. At your sewing machine, use a zipper foot (or your 1/4" piecing foot) to topstitch the strap through all layers, about 1/4" from the edge. Repeat on the opposite side. The last step is a little bit different for the wrist strap and lanyard. For the wrist strap, fold the strap in half around the swivel hook so that you don’t have a bulky seam near the hook. Topstitch close to the swivel hook through all layers, reinforcing your stitches by stitching several times over your stitching line. For the lanyard strap, when you fold the strap in half around the hook, you want to angle the strap slightly so that your lanyard forms a “v” near the hook. This will allow the lanyard to lay flat against your chest. Topstitch the strap as you did for the wrist strap. Now, you get to decide how many wrist straps and lanyards you will make from your two strip sets. You can either make 10 wrist straps; 1 lanyard and 7 wrist straps; 2 lanyards and 3 wrist straps; or 3 lanyards and 1 wrist strap. The possibilities are endless and awesome indeed! 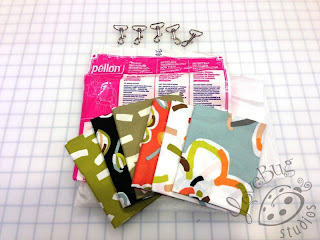 Do you want to win a Dwellings fat quarter set of your own? Just sign up to follow the Benartex blog using either Bloglovin’ or the email feature (both in the right sidebar). Then leave a comment below this post telling us that you are a follower and letting us know who you would make lanyards or wrist straps for. This giveaway will be open through Monday, September 2 at 11:59 pm EST. great idea. I think my daughter might like one of the lanyards. I get your posts in my email box. I am a follower of your blog with Bloglovin' and I would definitely make four lanyards for my bee ladies that I see every Wednesday. I follow your blog through emails. I would make this wrist strip and lanyard set for my niece for a Christmas present. She would totally love this and with the help of your tutorial, this can be accomplished. Thank you again for sharing another great tutorial and for the chance to win. I am following on Bloglovin' (lemonslush). I have a good friend who teaches quilting and sewing to the ladies at her church, so I think I'd work with her to make some for her students! I am a follower and I love this fabric. Thanks for the projects. I will give them a try. Stocking stuffers I think. I love these fabrics! I get your posts emailed to me. I'd make the lanyards for my college age kids--they'd be very useful! I follow on Bloglovin. I'd make a lanyard for myself since I have to wear a badge when I work at the office. A wrist strap for my daughter and me. I follow on Bloglovin. I would make myself a lanyard to hold my thread cutter. I have been looking for a "cute" lanyard for about a month now and haven't found anything that says "ME". I then think I would make a wrist strap for my keys and one for my dear future daughter-in-law. Oh, and a lanyard and wrist strap for my dear aunt also. The lanyard would be great to hold her card key to her community gym and the wrist strap would hold her house keys. I follow on Bloglovin' and would make lanyards AND wrist straps for new adoptive parents of rescued chihuahuas here in So Cal. Thanks for the great tute! I follow via email and I love the lanyard. I would have to make myself one, thanks. 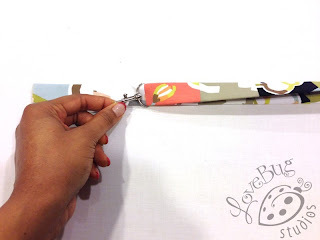 I'n a bloglovin follower... And I'd make lanyards for my friends as part of their Christmas gift :) Great tutorial! Thank you! I follow via email and I would make a lanyard for my younger college sister! I'm Bloglovin you. I make wristbands all the time I'll have to try making this strip one for myself. I follow by email. I would make lanyards for my quilting buddies and for my sisters. I shall be making a lanyard for myself as I have a couple of workshops coming up! HI! FOLLOW ON BLOG LOVIN'! I'D MAKE THEM FOR ALL THE LADIES IN MY FAMILY! I'm a follower. I would make a bunch and keep them on hand to include in gifts, especially a quilt or something like that. I'm a follower! I'd love to make straps for all my friends, but first I'd have to make one for myself ;-) Thanks for the tutorial!! Does it count if you follow them with Feedly? I signed up for emails just in case. Great tutorial! Great idea. I've always wondered how to make those. One of my twins could use one of these because he tends to be unorganized because of his ADHD. This would be great to hold onto his apartment key or other important keys he might have. 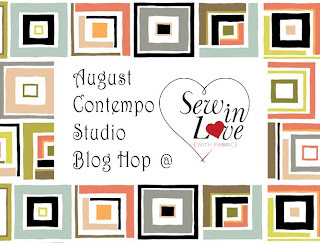 I am already subscribed via email and Bloglovin' to Benartex and SewInLoveWithFabric blog. I follow by email. I would make these for my daughters to use at work! The lanyard is a great idea. I keep setting my scissors down and then having to go find them. I follow by email. i'm a follower on bloglovin. these are great, make some for stocking stuffers for sure. I am a follower. I have several quilty friends that could use a wristlet. And I agree with Ebony, this is a great way to keep favourite fabrics close at hand! I'm already a Bloglovin' follower. I'd make lanyards for my 3 quilting/sewing sisters. Thanks. Oh, and I would make lanyards for myself. I need them for work. 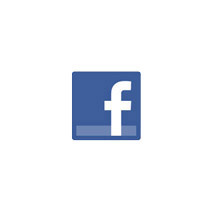 I follow on Bloglovin and Facebook. I would like to make a lanyard for my son's girlfriend and wrist straps for several friends. Thank you for the chance to win. I would make a wrist strap for my new boss thanks for the chance!! I follow Benartex via email and on FB!! I follow via Bloglovin and email. I would make wrist straps for cute little purses for my granddaughters. Thank you for the opportunity to win! I would make lanyards for some of my quilting friends. We're always looking for a fun way to hold IDs. What a nice idea...and good tutorial, Ebony! I follow via email. I would make lanyards for my granddaughters. I follow through both now RSS and email LOL can't miss an episode. :) I might make some of these for a few people but the grandkids might be the first to recieve them. Easy to keep a house key on them while playing. I follow on Bloglovin. My friends need some wrist straps for their purses. I followon Bloglovin and I'm afraid this lanyard would be for ME! 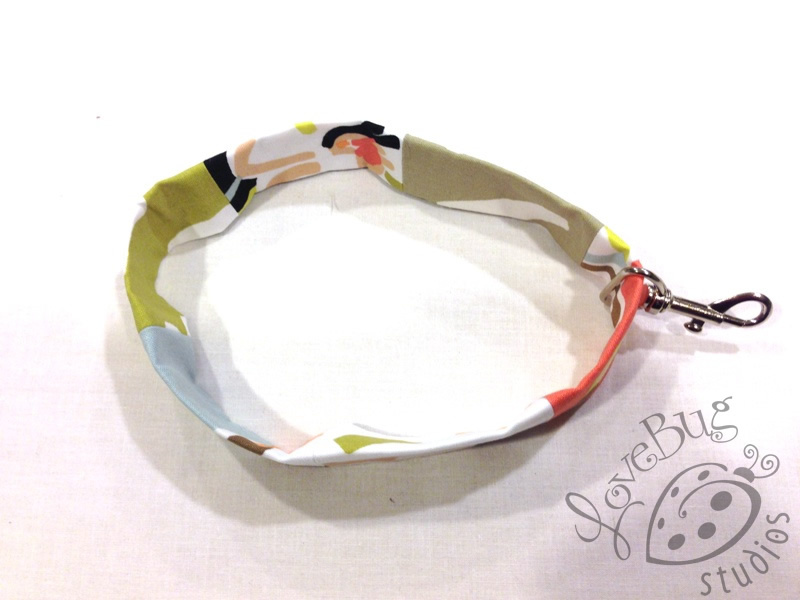 I followon Bloglovin and this lanyard would be for ME! I am losing my small scissors by the barrel full. I never have them or can find them when they are needed. Therefore: Lanyard would be for me. I follow on Bloglovin. I follow via email. We just got those annoying electronic door fobs at work and have to carry them in addition to our regular office & building keys, so I will be making wrist straps for myself and my office mates so we don't lose ours. Thank you for the great (and timely!) 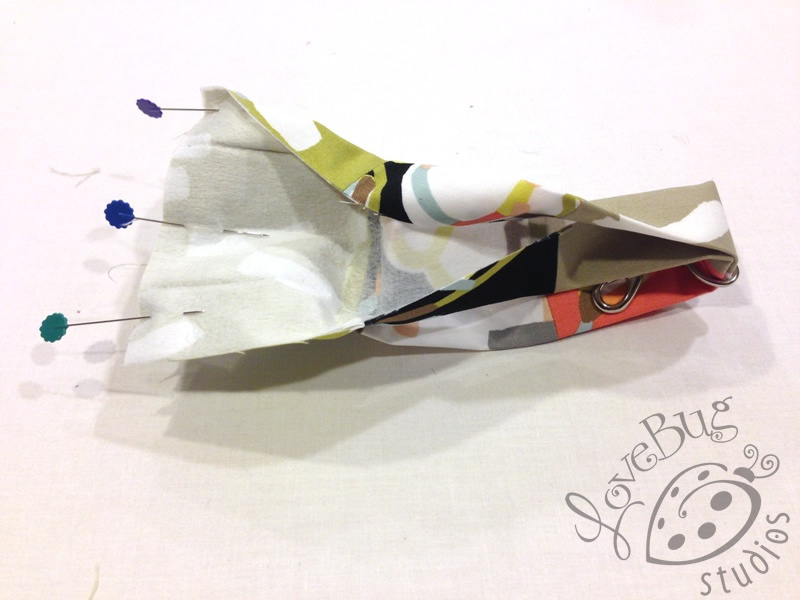 tutorial and the chance to win some lovely fabric to make them with! WOW! Thank you...I need one of these. I use them for my keys because I walk with a cane and I don't have to search for my keys at the store. Thank you, now I can make my own. I am a new follower to the Benartex blog via Bloglovin. I use a lanyard for work, and would make the key fob for my husband. I'm a follower via blog lovin. I'd love to make one for myself! Hi where do you find lanyard set? Did not see that information in your notes. Also, these strips looks and sounds remarkably like they were excerpted from Susie C Shore Designs instructions available in patterns "Cash On Hand" published in 2011 and "The Reader" published in 2010. I'd reply to you personally, but you decided not to leave your name or contact information. Not being familiar with Ms. Shore's work, I took the opportunity to look up the patterns you referenced. Ms. Shore's "Cash on Hand" pattern is for a wallet with a detachable strap, and "The Reader" is a pattern for an e-book cover with a detachable strap. The strap designs are not the same, and I do not see reference to a lanyard on her pattern cover. Detachable straps are not new or unique; I'm sure if someone did a more extensive search, they could find hundreds of patterns out there with detachable straps. 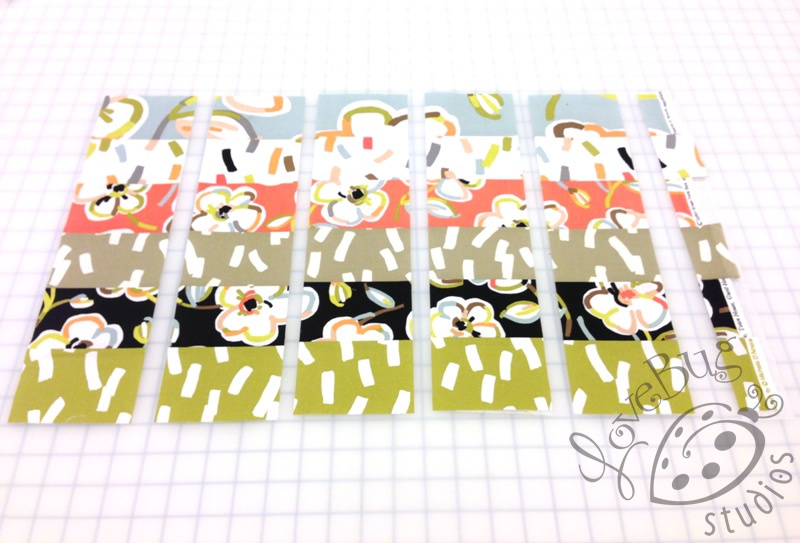 You may even find a strip pieced one! Once someone decides to make a wrist strap, there are a finite number of ways to end up with a functional one. The fact that I've developed my own pattern for a detachable strap does not mean that I stole it from another designer. The very idea is abhorrent to me. The project idea, photos and text are my own, but the techniques and methods I use are ones which people have been teaching each other for centuries. I do my own work and keep my eyes on my own paper, but it doesn't mean that two people working independently will never come to the same answer. Thank you for raising this important topic on originality; it will make a great blog post for my ongoing series on design and working as a professional. Love these!! I would make these for the Beginner Quilt class I'll be teaching in the Spring!! I'm already a follower. I'd make these for my sister, daughter, sons, and d-i-l! I follow by email. I would make lanyards for my family and friends. I follow by email and Bloglovin'. I would make wrist straps as gifts for the volunteers at our rescue group. I am a Facebook and a blog subscriber and get the Mr B Preview packs as well. We have a foreign exchange student and I would make lanyards for all the foreign exchange students in my town. What a wonderful idea and it shows off those beautiful FQ's. I would love to make these for my quilty friends in my guild. and then the wrist ones for my girl scouts....thanks so much. I follow by email proudspirit57(at)gmail(dot)com. I would make lanyards for my kids who keep losing their house keys! Thanks for the tutorial! Bloglovin' follower. My granddaughter's high school started the students wearing their ID's on lanyards this year so it would be fun to make her a cute one! I'd make lanyards for my quilting students! I'm a follower (via email) and member of Mr. B's club! Well, I will definitely making the lanyard. such a good idea. I'd make these for all my quilty friends, so handy!